This reference is the first comprehensive how-to collection of Six Sigma tools, methodologies, and best practices. 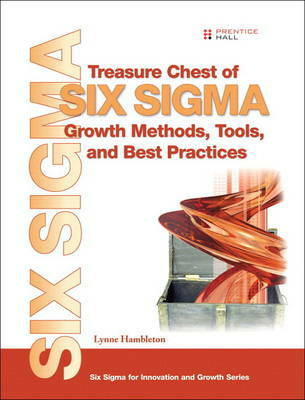 Leading implementer Lynne Hambleton covers the entire Six Sigma toolset, including more than 70 different tools-ranging from rigorous statistical and quantitative tools, to "softer" techniques. The toolset is organized in an easy-to-use, alphabetical encyclopedia and helps professionals quickly select the right tool, at the right time for every business challenge. Hambleton systematically discusses which questions each tool is designed to answer; how the tool compares with similar tools; when to use it; how to use it step-by-step; how to analyze and apply the output; and which other tool to use with it. To further illustrate and clarify tool usage, she presents hundreds of figures, along with never-before-published hints, tips, and real-world, "out-of-the-box" examples. * This book is also available in a highly-searchable eBook format at www.prenhallprofessional.com/title/0136007376 and other online booksellers,. From start to finish, this bookdelivers fast, thorough and reliable answers-knowledge you'll rely on in every Six Sigma project, for years to come.